In commercial real estate, investors see value in single-family and multifamily homes. With a lot of opportunities apparent in these listings, no wonder great deals come out of it. However, how many have considered investing in mobile home parks? John Jacobus is one of the few who goes for the out-of-favor but has appealing economics. The Managing Director of Lone Juniper Capital Management, an investment firm specializing in owning, operating and allocating private capital to alternative property investments, John debunks the negative stigma on mobile home parks as he shares his first deal and why it is worth investing in. 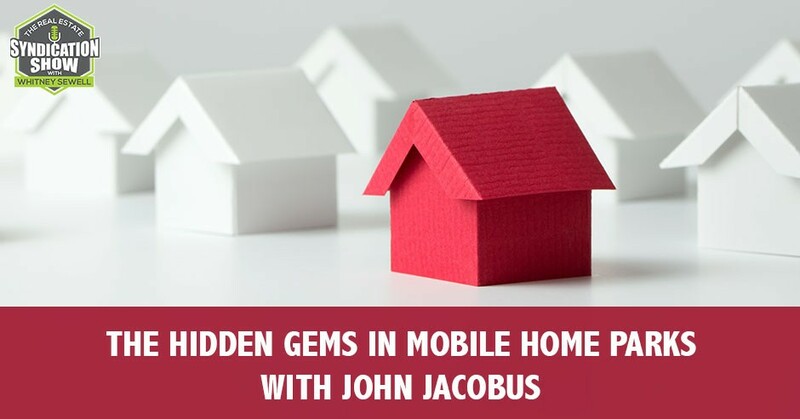 With an investment philosophy rooted in the principles of value investing, he shares the major value levers and framework of his initial business plan for mobile home parks and the challenges that come along with syndication business. Are you tired of answering emails from investors about when they’ll receive their K-1s? Let The Real Estate CPA handle the accounting and taxes on your next syndication and they’ll file your tax returns by March 15th so you can get K-1s to your investors by the individual filing deadline on April 15th. Not only will this reduce headaches, but it will help you retain investors over the long-term by improving investor experience. The Real Estate CPA is now offering a Special Virtual Workshop to the listeners of The Real Estate Syndication Show on How to Answer Tax Related Questions from Your Investors! Our guest on this episode is John Jacobus. Thanks for being on the show, John. I’m happy to be here. Thanks for having me, Whitney. John is the Managing Director of Lone Jupiter Capital Management. It is an investment firm specializing in owning, operating and allocating private capital to alternative property investments, including Class B apartment communities and mobile home parks in major metro areas of the Southeast and Southwest. His portfolio has grown over time from key positions and enduring publicly-owned companies to include several multifamily properties and mobile home parks. His investment philosophy is rooted in the principles of value investing and he considers Warren Buffett and Charlie Munger as foundational figures in shaping his investment approach. John, thanks again for being here. I appreciate your time and the expertise I know you’re going to provide from your experiences. It’s been a pleasure to get to know you better. Tell the audience a little more about you. Give them a little more about your background and what your focus is right now. I got started in investing quite young. I started out in real estate, fixing and flipping single-family homes in Southern California. I got into the mix. My dad showed my brother and me a way to get involved and do something entrepreneurial and build some equity. We rode the equity wave down in Southern California in the early part of the 2000s and that just sparked an interest in me in investing in general. I took that and ran with it. I ran across the principles of value investing and stumbled across Warren Buffett and Charlie Munger. It opened my eyes to some foundational ways of thinking about investing and ran with that. I got interested for a long time and continue to be in public equity investing, the stock market and determining how to evaluate companies, understanding what good is and assessing what’s a good value. I cultivated a really deep interest in following that. It was almost a hobby where I’m learning about different businesses and industries, what is good and what’s not so good. It was always been an area focus for me. That led to a deep interest in investing. 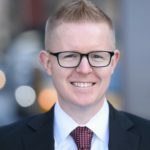 I moved out to New York City many years ago and that was the first time that I had been immersed in this environment of multifamily real estate. I got to know my landlord. I started probing questions. He and his brother has had quite a large portfolio of multifamily assets on the upper side of New York. I thought, “That’s cool.” You’ve got buckets of free cashflow coming in on a monthly basis and that would be neat to explore that a little bit further. I continued to follow my nose and talk to people. At some point along the way, I got to know you, Whitney, and explored it. Since then, I’ve gotten involved in being a limited partner in multifamily assets out in the Southeast and then progressively work towards becoming a general partner and being more actively involved in raising capital for big projects and then taking down mobile home parks. It’s been a long journey over the years. I have always been curious about different investment vehicles and compounding wealth and either showing others how to do it or doing it myself and exploring new fun things. It’s incredible to hear how you got started so young. I wish that there had been somebody to spark this in me when I was a teenager. I probably wouldn’t have listened. It’s incredible when I hear people getting started so young and learning this business or learning just the value of investing and learning about what makes a business profitable or not. Some key things there that I’m sure you learned that you apply everyday now and probably don’t even think about it. It’s been years of repeating and doing the same thing. It’s part of compounding, doing small things consistently over time. It may not seem meaningful at the time, but it adds up to something you can’t avoid. I’m awfully fortunate that my dad showed us the path and it definitely took some reinforcing. I didn’t always get it right. It was a couple of years of just slogging it out. I had to make some mistakes on my own. I’m grateful that that I was shown this opportunity and there’s an alternative route to slogging it out and working for a W-2 job for your entire life. I’ve embraced that and tried to make it my full-time thing. Mobile Home Parks: Nobody talks about how many mobile home parks they own or the fact that they are a mobile home park at a cocktail party. You’ve got experience in the stock market a lot more than probably most people that I know. You’ve also got experience learning businesses and you got experience in multifamily. You’ve got experience as a limited partner, investing passively and also as a key principal now. Your current focus seems to be mobile home parks, correct? Elaborate to us why mobile home parks. You’ve got lots more experienced than most in other asset classes and other types of investing, so how did you narrow down to mobile home parks? At this point in the market cycle for commercial real estate, things are hot and it’s competitive. While I still love multifamily assets for all the reasons that we like to celebrate, it’s just been very difficult to compete. I live in New York, but I invest in the Southeast and the Southwest. That physical separation, especially in the large Class C and Class B multifamily can be problematic. I can’t jump on a plane immediately and be there for a property tour in the afternoon. I can’t be on site spending time with brokers to cultivate relationships and I have limited time. I have a pretty intense day job. Looking at things, where’s the best use of my time? When I have time to put forth to something, where do I think I can be most competitive and make a difference? That was the first filter. The filter comes from the value investing principles. I like things that are unloved and unpopular, but have really appealing economics. I don’t know where the origin was for mobile home parks, but I’m pretty sure I was listening to a podcast and one or two of the guests came on the show and talked about mobile home parks. At first it was like, “I don’t need another shiny object to chase. 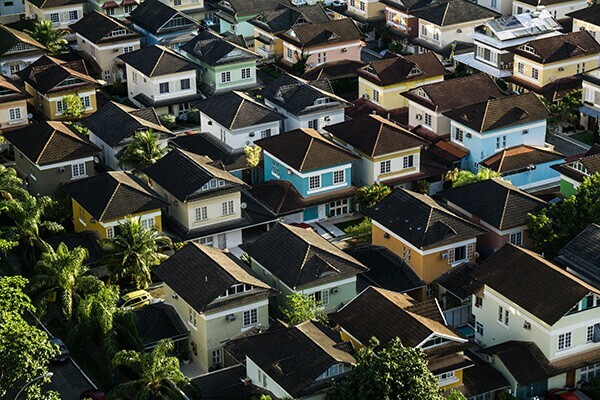 I need to focus and hone in on something specific, like multifamily.” For whatever reason, I may have gotten frustrated or said, “This isn’t working out in the multifamily space. It can’t be far away and compete.” For whatever reason, I latched onto it. I did some reading and the more I dug into it, the more I just fell in love with it. The things that shot out to me were there’s this negative public stigma associated with it. Nobody talks about how many mobile home parks that they own or the fact that they are a mobile home park mobile at a cocktail party. That’s not something people brag about. That appeals to me because there is a hype associated with it en masse. It’s an inefficient market. It’s about 30, 40 years behind in some cases most of the markets. There are a few pockets of sophistication in California, Arizona and Florida. On balance, it’s a very immature industry in the sense that you don’t have the liquidity as you do in multifamily. Financing is a little bit more difficult. 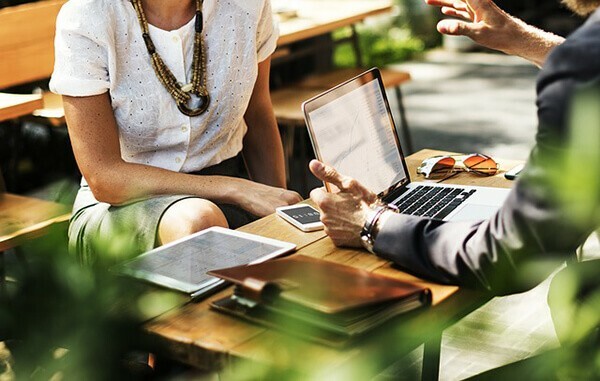 The ability to view deals and the deal flow, there are some barriers there that the industry hasn’t adopted in a way that single-family, multifamily and other commercial assets have. That makes deals or mispriced opportunities much more abundant. That was also a thing that I liked. Mobile home parks are supply constrained. You don’t have to face the massive overbuild cycles that you do in some of the other commercial assets because most municipalities across the country don’t want mobile home parks built in their communities. From the ‘40s up until now or until 20, 30 years ago, there was a build out of mobile home parks. In the past 20, 30 years, municipalities aren’t allowing new ones to be built. That’s nice too when you have a supply constrain. You don’t have to worry about some vacant piece of land across from your park being spun up into a new park and sooner than later, you’ve got to a competitor right across the street from you. The third piece is a mobile home, in the model that we pursue, are owned by the residents. You’ve got an alignment of interests between the park owner who owns the land and the residents and the community. That’s something that I like having the experience in the multifamily space. In multifamily, you’re always dealing with residents. There are instances where the residents can truly treat it like they don’t care and leave the place a mess. A renter is a renter and they’re not going to take as good a care of it as an owner would. In the mobile home park space, if you do pursue the model where you own parks where there are a lot of resident-owned homes, you’ve got a shared interest and you’ve got stakeholders in the community. Those were some of the reasons that attracted me to it. The primary being that was just this unloved niche and nobody wanted to talk about it. Those types of things are like a magnet for me. It oftentimes means nobody’s paying attention and there’s value there. It’s a long-winded answer but it’s multi-faceted and there were a lot of cool things about it. I’m a distance runner too and I run marathons and it was the same thing. When I was a kid, I pick the longest distance. I said, “I want to do the mile,” and then it was the 5K and I always picked the thing that other people didn’t want to do. It applies to all aspects of my life. You’ve got a few deals that either happened not long ago or in progress. You’ve got a lot going on. Let’s talk about a deal, maybe something interesting happened. Tell us about how you found it and let’s go through some of the details of it. I was sharing my journey about being involved in multifamily, and that’s where I got started. I was an LP and a couple of properties down in Dallas-Fort Worth. Then I slowly took the next step to raise some capital and be part of the general partnerships team and it just progressively escalated on the activity scale as it relates to multifamily. At some point in late 2017, I said, “I’ll continue to partner. I still like multifamily.” I participate now, but primarily through partnerships. I pivoted in early 2018 and said, “I’m going to go full in terms of acquisition and prospecting. It’s going to be focused holistically on mobile home parks.” I went through and built the database. I went out to boot camp. I went out to see Dave Reynolds and Frank Rolfe, the two titans of the industry and they put together a pretty comprehensive training program. Once a quarter, I went out to boot camp out in California in early 2018. I got trained up. I learned a little bit about more and started building out the database. I was looking up properties in the metro areas that we were interested in. I started going to the county websites trying to find the owners and building out a robust dataset that would cultivate some of our off-market deal flow. At the same time, we were talking to everyone that we knew about mobile home parks and trying to meet other owner operators and other investors. I talked to brokers and I went to conferences. At every opportunity, we were trying to put ourselves in the path of deal flow. It was six months of lots of energy but not a lot of results. Until it got to the summertime around June, we came across a steal with friends of ours in New York. It goes back to the unloved thing and nobody talking about mobile home parks. We go to a monthly meet-up in Manhattan where a lot of real estate investors from all corners of the industry come. It’s a great networking event. You can meet people. There are about five of us among the 150 that show up on a regular basis that are into mobile home parks. We got to know each other and liked hanging out and would keep a virtual and in person thread going. This particular group had been doing some good off-market work. They had a couple of deals under contract, but at the same time they found it was an opportunity to set up a fund. Mobile Home Parks: At every opportunity, try to put yourself in the path of deal flow. As a result, they needed to focus their time and energy on going through the fundraising process, at the expense of some of the deals that they had managed to secure under contract. Being friends, they said, “We’ve got a couple of good deals. We sourced them off-market, would guys be interested in any of them?” We said yes. Of the few, we found this one in North Carolina that really appealed to us. In June, that contract was assigned to us and that began our due diligence period. That’s how we got to our first deal. It was six months of daily struggle and action and chasing all sorts of avenues. Despite all that time and energy and talking to brokers and building an off-market database, ultimately it was a friendship and through that relationship that the deal came our way. I appreciate the six months of just lots of energy and lots of work. It didn’t look like there was any return on that energy spent on that investment. However, you’re still making stuff happen. You’re still turning those wheels. You’re still learning through that whole process through every connection you make. As you pointed out there, you never know where these relationships lead to. Six months, in the grand scheme, that’s not very long. It goes back to the compounding, the consistent daily action and long-time horizons and delayed gratification. That’s ingrained in me. That background of the value investing thing and the Munger and Buffett, that’s how we roll. It was inevitable and I just kept charging away and grinding it out. How many homes are on that property? It’s a 70-space park, 50 of which were occupied. There are a couple of things that appealed to us. It’s in Fayetteville, North Carolina. That’s the home of Fort Bragg, which is the largest military base in the country. We liked the government presence there because it adds stability to the market. It’s also large, so we focus on metro areas in the Southeast and Southwest that are 100,000 population and above, which Fayetteville is about 200,00, 300,000 people. It’s a large metro area. You’ve got a diversity of employment there. We generally like North Carolina because it’s a state that’s growing. It has a fairly solid economic base. Those were the characteristics demographic-wise that appealed to us. For the park, we like value-add parks. Being value investors, we’re attracted to opportunities to create value. We buy something for less than what we think it’s worth. The fact that it was a 70-space park with only 50 occupied, that translated into an opportunity for us to fill in twenty new lots with homes and realize the value created as a result of driving the operating income from that. I wanted to ask you, if somebody that says, “John, you laid all this out. I’d really like to think about mobile home park investing myself,” but your first deal had 70 homes on it. It seems like a big deal. Is that something I should consider? I hear it with multifamily all the time. Should I start with a duplex or 100 units or more? I imagine it’s a similar philosophy. What would you tell to somebody who’s like, “That’s 70 units. I don’t know if 70 homes, I don’t know about that.” Is that similar to mobile home parks as well? It is. It’s the benefits of scale. You benefit from scale and your occupancy doesn’t take as much of a hit on 70 units versus 70. You can spread your fixed operating cost across a wider base. For many of the same reasons that it makes sense to go larger initially in multifamily, it also makes sense to go larger initially in mobile home parks. Financing is easier. It checks all the boxes on simplicity. In 70 units, you’ve seen the value add. There was a place to add more units. What was the business plan initially and how has it gone? There are a couple of value levers that we saw that we could pull. The lot infill was one. The twenty vacant lots infill over the course of a three-year period. We think it’s a drag in our feet but we like to be unreasonably negative on our projections. If it’s a low hurdle, we like jumping over one-foot hurdles instead of ten-foot hurdles. Under market rents, we saw about a gap of $15, $20 a month on the lot rents that we thought we could very easily push. We validated that by running some test ads in the markets, so we had some reasonable assurance that we can achieve those rents. $15 to $20, is that a big loss to lease? Is that a big amount in mobile home parks? It’s not huge but keep in mind that may not be meaningful at all in the apartment space, but apartment rents are quite a bit higher. $10 to $15 on a $1,000-average apartment rents is not that meaningful, but the average lot rent across the country is somewhere around $300. Your $10 to $15 of a much lower number is much more meaningful on a percentage basis. We were looking at 10% to 20% gap in where we were relative to market in what we thought is an escalating market. There’s not a huge opportunity on a rent bump, but a material and a core component of our business plan. We also saw bloated expenses. The owner of this particular park had owned it for quite a while and it had just consistently deteriorated over time. We saw that in the financials. We also saw it and we were boots on the ground doing diligence and talking to the manager. It’s right across the street from the fire department, so we talked to them. We were able to validate that this park has been neglected over the past couple years and we don’t know what’s going on and it’s run into disrepair. Introducing some professional managements, not only from a cost perspective, but paying attention and doing things and taking care of deferred maintenance was another major lever as well. The last thing was this is the thing that at one point rappelled us and triggered us to run away from it, but at the same time represented the reason for a lot of the value that we saw. That was a contaminated water well. There was an issue with the infrastructure, so the private utilities and such that the water levels were not up to the code of the state. That killed the interest of a lot of prospective buyers. The more we dug into that and more than we could get comfortable and we’re able to use that as a problem that scared a lot of others away. We used it as a negotiating tactic to get a price that was appealing and attractive to us. Mobile Home Parks: Look at the financials and look at the physical infrastructure. That’s part of your due diligence. To round out that question, fixing that was a core component of our business plan. Once we resolved that, then a multitude of financing options with much more attractive terms opened up, which would allow us to take out capital and do great things. Those four things constituted the framework for our business plan. Yes, we did identify this issue with the well during the due diligence. Our due diligence is similar to multifamily. We look at the market, we look at the financials and then we look at the physical infrastructure. As part of our physical due diligence, we go to the county and state websites that keep track of health violations. This particular park, we knew it had private utilities, so it’s septic sewer system and a private water well. We checked it. We went to the appropriate governing body and that governing body keeps records on health violations. We pulled up the address and what we saw there was quite a long history of health violations and notices and there happened to be one outstanding. We drilled into that. I’m not a well operator, I’m not a plumber. I’ve never owned an asset that had private utilities. This was definitely a learning curve for me. We saw this thing and I immediately was like, “It’s got poisonous water. We don’t want anything to do with that.” The initial thing was, “How bad is this? Is this a deal breaker?” I don’t know anything. Radium was the contaminant. I don’t know anything about radium. This is six parts per million versus the five parts per million as the max threshold. How bad is that? Is that instant death as you ingest it or is it a slow burn? All these things are floating around and we had to get our brains wrapped around this. We spoke to some well operators, some private well experts. We spoke with environmental attorneys. We tried to round out and assess how bad is this and is it fixable? If it’s a fixable problem, that’s great because other people really react negatively to surface level things like this. That can be scary. It’s poisonous water. I don’t want to hear anything else. I’m not interested, on to the next. For us it’s, “Let’s take a look. Is this a fixable thing? How much is it going to cost to resolve this thing? What’s the worst-case scenario? If it’s really to go bad, what does that mean? Are we going to be on the hook for all the historical issues, all the claims prior to our ownership? Are there some limits on our liability? Can we buy insurance to cap some of that risk?” Those were all the things that we were going through and trying to assess, “Do we know how bad that is and what that would translate into?” We assigned a probability to that and then we look at the upside. On balance, it’s the risk reward balance and does this make sense to go forward? At the time, we did all of that and we ultimately said, “No, it doesn’t make sense to go forward.” The park was at a price and on terms that were more aligned with a squeaky clean deal. We didn’t feel that they properly reflected the risks associated with the well. At that point in time, we’re probably six to eight weeks in due diligence now. We said, “This park isn’t for us. We did all this work and we had compiled quite a comprehensive diligence package. It’s probably worthwhile to someone else who’s more experienced and has dealt with these types of issues before. Let’s try to wholesale this and shop this around and see if we can get paid for our time and recoup some of the soft costs.” We spent about six weeks and from then, shopping the deal around. We blasted it everywhere. You may have seen some of my posts. It was out on BiggerPockets and NHU forums. Everywhere that we could get an audience, we let them know, “We’ve got a mobile home park. We’ve done all the due diligence.” We’ve put an offering memorandum together or something like an offering memorandum. We spoke with about 40 different prospective investors and took a lot of phone calls, answered a lot of question and ultimately nobody was interested in the price and the terms. At this point, it’s late October and we’ve got this deal in our hands that nobody wants. We’ve thoroughly tested the market and really gotten a sense for the appetite in the market. While it’s discouraging because we’re trying to wholesale this thing and make some money, it actually was encouraging because now we had a lever that we could pull with a seller and say, “We spent a lot of time with your park. We know it and we’re still interested. Here are our main issues though. Good luck trying to get this price in these terms with the market, because we’ve just tested the market and there’s no interest. 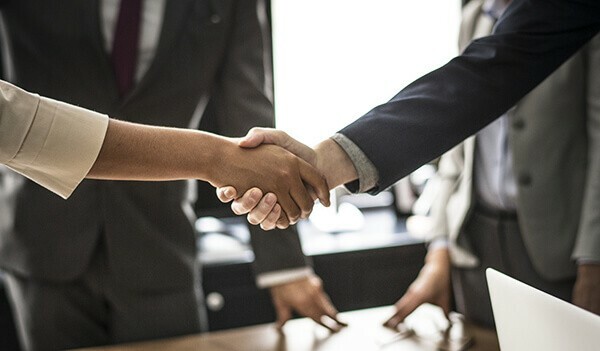 If you’re wanting to close and wanting to close fast, you may as well work with us.” That entered round two of us being back interested and trying to re-negotiate the deal. Before we run out of time though, what did you have to do to the well? We are currently drilling a new well. We had a couple of avenues to pursue to get the well resolved. We do have city connections, so there’s a municipal line out right in front of the property. We can tap into that. As a first lower cost alternative, we are drilling a new well. We’re in the process of doing that. We hope to finish that by the end of Q1. If that doesn’t work out, then we’ll pivot and tap into the city line. Did you find out legally you wouldn’t be responsible for anything that happened before this? That’s right. We actually were able to negotiate a warranty period as well. Not only would we not be liable for claims that were raised or things that happened prior to the transition in ownership, the seller provided a warranty for eight months into our ownership period, such that if anything occurred, they’d be on the hook to take care of it and be liable for anything that came up. It’s one of the points that we’re able to get through the negotiation, which got us comfortable and assured us that we could move forward and limit some of our risks. That’s a key point right there, asking for a warranty. There are times you don’t even think of something like that, so I’m glad you brought that up. Unfortunately, we’re going to have to move on, but I wanted to ask you, what’s been the hardest part of the syndication business for you? At least for us, it’s educating interested investors and potential partners who aren’t as familiar with mobile home parks and why they should pay attention and be interested. That negative public stigma that I had mentioned is pervasive and overhangs all activity related to it. People don’t want to live there, they don’t want them in their communities and they surely wouldn’t invest in them. Overcoming that barrier has been a challenge and just getting people to pay attention to you. Appreciate the attractive economics of the asset class and be willing to investigate your time or time or energy or their capital in the vehicle. That’s been a challenge. How have you educated people? Mobile Home Parks: Getting out and being more public about what you’re interested in and what you’re doing helps move the needle and cultivate the deal flow. I would say that these variations on this theme here has been a way that I’ve done it. The other way is you’ve got some pretty notable successful investors that are in the business in a major way. Warren Buffett owns Clayton Homes. It’s the largest manufactured home manufacturer in the country. He also supports the major financing company of mobile homes. He’s got a vested interest in the industry and it signals to the market, “Maybe this is a decent business. We’ve got Warren who’s been a successful investor and he likes this business.” Similar is Sam Zell, a billionaire real estate investor, founder of the Equity Office, Equity Residential, The Equity Portfolio. He owns the largest manufactured housing REIT in the country, which is Equity LifeStyle, ELS. He’s in the business in a major way. You’ve got these two public figures that sometimes you can throw out those names and make the association. That’s another tactic that I use, aside from just walking through some of the points that I shared with you. Just the tangible aspects that are appealing about the industry. What’s a way that you’ve improved your business at that we can all apply to ours? It’s going on shows like these and talking to people and sharing. We got our first deal because we shared with people that we were interested in buying mobile home parks in the Carolinas and getting out. I’m not a social guy. I’m introverted. I prefer to sit in front of spreadsheets and think and read, but forcing myself to get out and do things like this, be more public, go to Meetups, go to conferences and just share, “This is what I’m interested in and this is what I’m doing,” has really moved the needle in cultivating deal flow. It helped us find vendors that we need help with. It connected us with attorneys. It’s opened up a huge set of avenues just by putting myself out there. What’s the number one thing that’s contributed to your success? I’d say it’s continuing to slog it out. It’s the whole principle of compounding. In the face of no material immediate benefit, continuing to push through and to pursue consistent small action over time, to snowball has led into meaningful progress. Is there a need in your business that you’d like to let the readers know about? We’ve got two deals under contract and we’re hoping to scale the portfolio pretty significantly to include more mobile home parks in the Southeast and the Southwest, to the extent that others want to learn more about it and/or contribute their capital to some of our projects. We’re definitely out of our own personal capital and looking to raise outside capital. How do you like to give back, John? I like to meet with other perspective real estate investors and other investors in general. I attend the Berkshire Hathaway annual meeting every year in Omaha in May. In the past couple of years, I’ve extended invitations to just random people that I’ve met at conferences or have sent me emails and invited them and shared with them a world that was introduced to me and really created a lot of great opportunities. That’s my way of giving back and just opening doors for others in a similar way that it was opened for me. Perhaps giving them an opportunity to dig in and create something that works out well for them. How can our audience learn more about you and your company? It’s LoneJuniperCapital.com on the web. People can reach out to me, JJacobus@LoneJuniperCapital.com. Email’s the best way to get in touch with me. Find a mobile home park and call John. John, thank you so much and I appreciate you laying out this great detail for us to know about if we’re pursuing mobile home parks. I hope the readers connect with you. 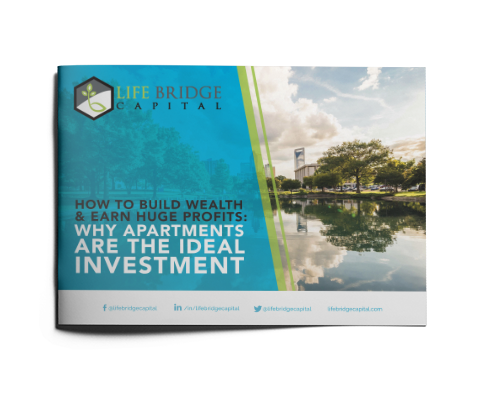 Also, go to Lifebridge Capital and connect with me and go to our Facebook group, The Real Estate Syndication Show so we can all learn from experts like John and grow our business together and take everybody along with us. John Jacobus started his investment career over 15 years ago with single-family rental properties and public equity investments. His portfolio has grown over time to include several multifamily properties, mobile home parks, and key positions in enduring publicly owned companies. 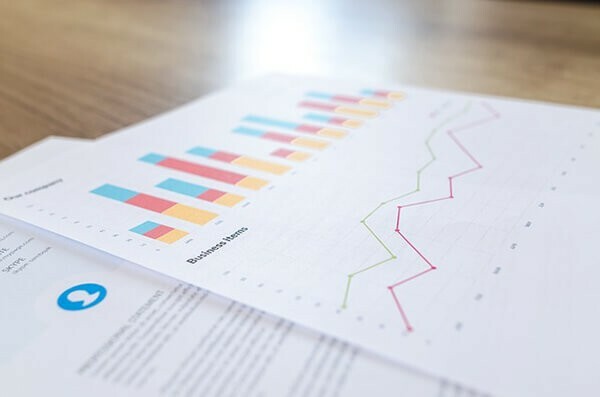 John’s investment philosophy is rooted in the principles of value investing and he considers Warren Buffett and Charlie Munger as foundational figures in shaping his investment approach. John is the Managing Director of Lone Juniper Capital Management, an investment firm specializing in owning, operating, and allocating private capital to alternative property investments, including class C/B apartment communities and mobile home parks in major metro areas of the southeast and southwest. John seeks to provide his partners and clients with attractive risk-adjusted returns over the long term by acquiring under-performing non-traditional commercial real estate assets and improving them through targeted value-add initiatives. In addition to leading Lone Juniper Capital, John also works full-time for a full-service family office in New York, NY where he leads internal back-office infrastructure optimization projects involving deployment of new processes, systems, and business infrastructure to drive operational efficiencies, achieve greater scale and enable business growth. John leverages this project execution and value-creation background to the benefit of his real estate portfolio as he transforms under-performing real estate assets to compound his and his clients’ personal wealth.